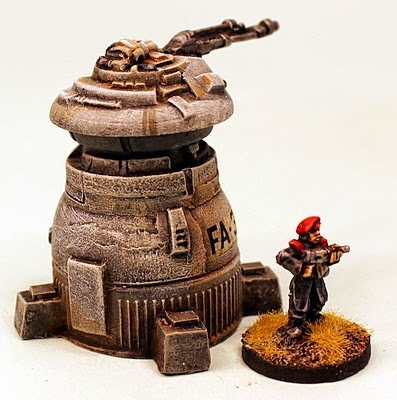 Yes say goodbye to the popular HOF27 Maginot Defence Tower and the HOF28 Charger APC models in our HOF 15mm Science Fiction range. They will be withdrawn from sale at the end of February 2016. But wait you say! Why withdraw them when everyone loves them? Well we have decided to re-master both of these models and then release them once more into the HOF Range in the late spring. 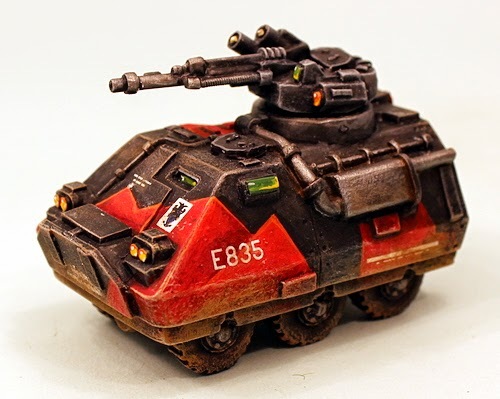 Its a great time to do this as we plan to expand the propulsion options on the Charger and weapon mount on the Maginot too. Don't fret though since these new versions will be 100% compatible with the original models. The new versions are also designed by Sam Croes who came up with the originals. If you want to get your hands on the current Charger and Maginot before they become extinct and sought after you can go HERE. 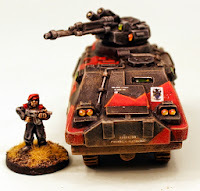 Both of these models feature large in the Human Colonial Armies of the Alien Squad Leader rules system and are part of the sub-set of the HOF Range that is Security Force Alpha. Click HERE to see all the SFA codes. The SFA range contains more than fifty different poses of 15mm white metal miniatures and vehicles allowing a wargamer to assemble a cohesive force for their campaigns. A whole integrated range within HOF which will be expanded even more. Been looking at these for a while now. Is there going to be a pre-order/early-supporter dealy for it? There may be. Once we have the details confirmed I could see about that. Would you like to see a bundle discount or a single with something extra free?